I had my eye on this chair for a long time, and it’s here! After a pretty long search and a 4-hour drive, I’m happy to say the search is over and isn’t the result pretty? 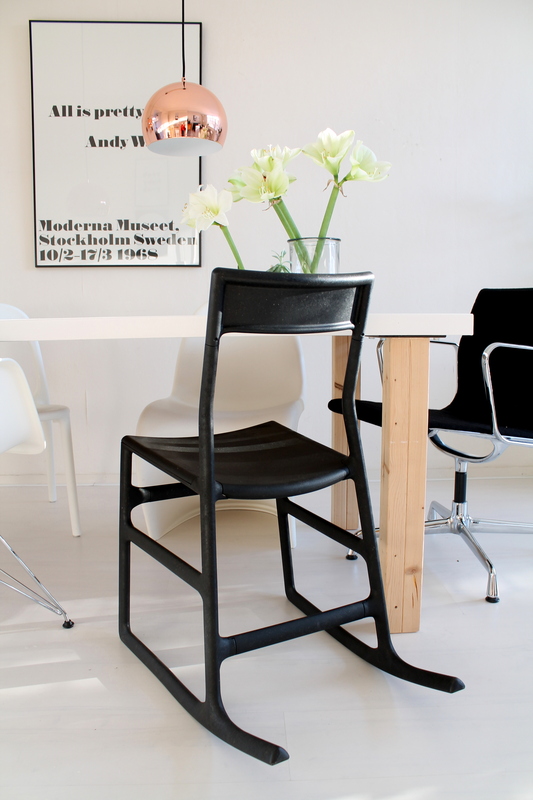 The chair is an Ikea product from 2008 and is made entirely out of plastic. It has the feel of a rocking chair, which invites you to lean back after a big meal (and isn’t that nice!). I first started my search by using Instagram and a lot of people were very sweet and helping me, but so far I couldn’t get my hands on one just yet. I browsed through Marktplaats (which is a Dutch online marketplace) and found out that people were selling them for a lót of money. That kinda took away the fun, but I didn’t gave up. I knew that one day I would find the perfect set for a reasonable price, and I did! I bought 4 chairs in once and they were worth the drive. If you are interested in one of these chairs (because the other 3 I won’t use) and you can pick them up at Heerenveen, email me on tekoop@donebymyself.nl! Kan het zijn dat ik net één van de drie, die je over hebt, heb gekocht? zag net op Instagram dat je ze al buiten Heerenveen verkocht had.